I have lived too long, and observed too much, to be disturbed by the world's mockery. Woman stock is rising in the market. I shall not live to see women vote, but I'll come and rap on the ballot box. 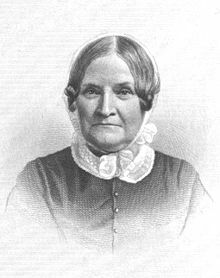 Lydia Maria Child (11 February 1802 – 7 July 1880) was an American abolitionist, women's rights activist, opponent of U.S. expansionism, Indian rights activist, novelist, and journalist. The government ought not to be invested with power to control the affections, any more than the consciences of citizens. A man has at least as good a right to choose his wife, as he has to choose his religion. 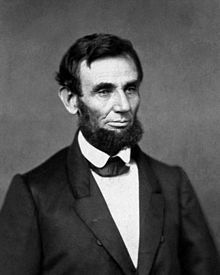 I think we have reason to thank God for Abraham Lincoln. With all his deficiencies, it must be admitted that he has grown continually. And thou alone art there. "Concerning Women", Independent, 21 Oct 1869, as quoted in "Extracts from 'Concerning Women'" in A Lydia Maria Child Reader (1997), edited by Carolyn L. Karcher, p 403. Neither the planters nor the Colonization Society, seem to ask what right we have to remove people from the places where they have been born and brought up, —where they have a home, which, however miserable, is still their home, —and where their relatives and acquaintances all reside. Africa is no more their native country than England is ours, —nay, it is less so, because there is no community of language or habits; —besides, we cannot say to them, as Gilpin said to his horse, "'Twas for your pleasure you came here, you shall go back for mine." They [the slaves] have stabbed themselves for freedom—jumped into the waves for freedom—starved for freedom—fought like very tigers for freedom! But they have been hung, and burned, and shot—and their tyrants have been their historians! In the first place, an unjust law exists in this Commonwealth, by which marriages between persons of different color is pronounced illegal. I am perfectly aware of the gross ridicule to which I may subject myself by alluding to this particular; but I have lived too long, and observed too much, to be disturbed by the world's mockery. I do not know how the affair at Canterbury is generally considered; but I have heard individuals of all parties and all opinions speak of it—and never without merriment or indignation. Fifty years hence, the black laws of Connecticut will be a greater source of amusement to the antiquarian, than her famous blue laws. I will work in my own way, according to the light that is in me. Letter to Ellis Gray Loring (1843). The New England Boy's Song About Thanksgiving Day, st. 1, from Flowers for Children (1844-1846). Home—that blessed word, which opens to the human heart the most perfect glimpse of Heaven, and helps to carry it thither, as on an angel’s wings. Reverence is the highest quality of man’s nature; and that individual, or nation, which has it slightly developed, is so far unfortunate. It is a strong spiritual instinct, and seeks to form channels for itself where none exists; thus Americans, in the dearth of other objects to worship, fall to worshipping themselves. There was a time when all these things would have passed me by, like the flitting figures of a theatre, sufficient for the amusement of an hour. But now, I have lost the power of looking merely on the surface. Everything seems to me to come from the Infinite, to be filled with the Infinite, to be tending toward the Infinite. Do I see crowds of men hastening to extinguish a fire? I see not merely uncouth garbs, and fantastic, flickering lights, of lurid hue, like a trampling troop of gnomes—but straightway my mind is filled with thoughts about mutual helpfulness, human sympathy, the common bond of brotherhood, and the mysteriously deep foundations on which society rests; or rather, on which it now reels and totters. Childhood itself is scarcely more lovely than a cheerful, kind, sunshiny old age. That man’s best works should be such bungling imitations of Nature’s infinite perfection, matters not much; but that he should make himself an imitation, this is the fact which Nature moans over, and deprecates beseechingly. Be spontaneous, be truthful, be free, and thus be individuals! is the song she sings through warbling birds, and whispering pines, and roaring waves, and screeching winds. The cure for all the ills and wrongs, the cares, the sorrows, and crimes of humanity, all lie in that one word LOVE. It is the divine vitality that produces and restores life. To each and every one of us it gives the power of working miracles, if we will. All who strive to live for something beyond mere selfish aims find their capacities for doing good very inadequate to their aspirations. They do so much less than they want to do, and so much less than they, at the outset, expected to do, that their lives, viewed retrospectively, inevitably look like failure. Neither lemonade nor anything else can prevent the inroads of old age. At present, I am stoical under its advances, and hope I shall remain so. I have but one prayer at heart; and that is, to have my faculties so far preserved that I can be useful, in some way or other, to the last. Letter to the Advocates of Woman’s Suffrage (1870). Yours for the unshackled exercise of every faculty by every human being. This page was last edited on 21 December 2017, at 21:19.